The Beerkada books are available at selected branches of Power Books and National Book Store. 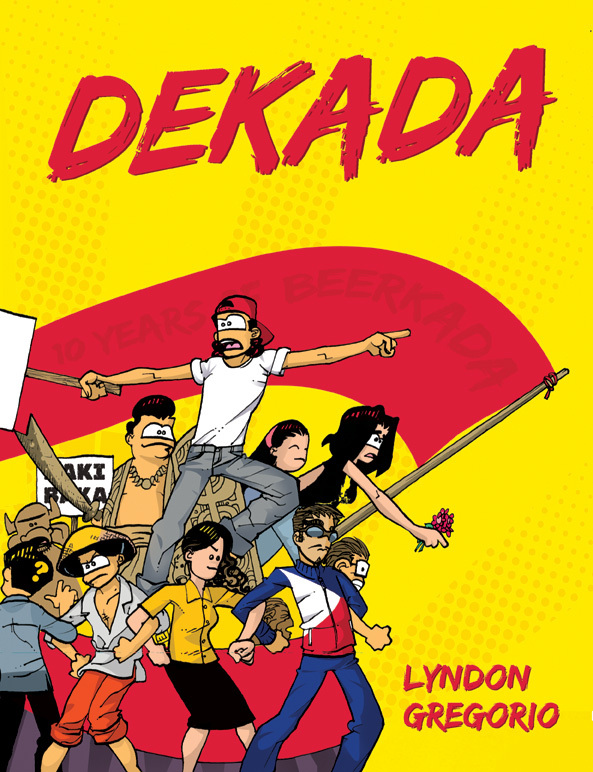 All hail the 2019 Beerkada boxed set! 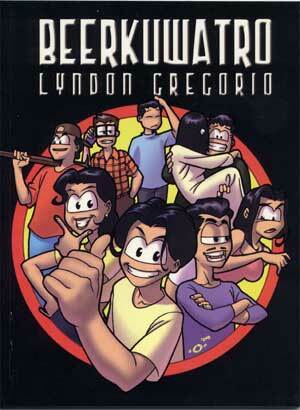 Get all seventeen Beerkada books, with VOCAbolero, a non-comics humor book, all lovingly signed by Lyndon Gregorio! Plus walastig, exclusive freebies! All in a nifty set box. 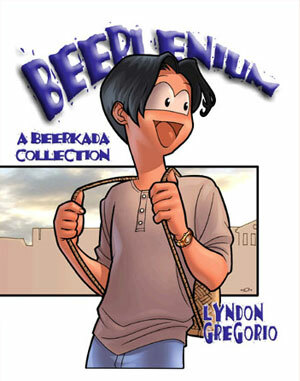 The complete Beerkada boxed set, from Beerlenium to Salamangkada, plus VOCAbolero! It is lovingly contained in a artfully labelled box. Each 18-pc. set includes freebies and surprises. It's the 16th Beerkada collection! Have a laugh with Glen and Chompy's first year of marriage, ask if people even lift at the gym, and even take a trip down the Dungeons and Dragons! Twelfth time’s the charm and the friends- since-college are ready to face the music. Glen and Chompy are all sweet tunes after their engagement, but she’s quick to up the tempo by applying to business school. Bryan sings the blues when he finds out he has a lifestyle-altering disease. Finally, Boopey is all set to rock the bar exams, but is she ready to roll with the devastation of Ondoy? NOW THAT’S WHAT I CALL BEERKADA! It pays nothing to decrease your word power! VOCAbolero is filled with defunnytions and translations to offend any lover of the English language. Plus, there's a foreword by best friend Jiggy Cruz! NOTE: This book has a matte cover with a glossy yellow obi. This is not your father's children's book! The Gocos welcome a new baby, Glen and Andrea upgrade their relationship, pluys aswang, time travel and a whole lot more! It's ten years of Beerkada and they go Asian! From the hills of Hong Kong Disneyland to the quays of Singapore, join the best friends-since-college as they tackle employment, higher education, maternity and other quarter-life concerns. This book not only contains 8 pages of never-before seen material, but also a creator's commentary on a lot of strips. 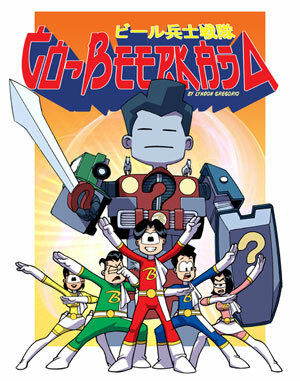 Akibakada details the Beerkada's trip in Tokyo, Japan during the 11th Asian Cartoon Exhibit. The tankobon-inspired book also includes Jimmy and Fe's wedding, as well as the suspense-filled Debt Note storyline. BFF features Chompy's earpiercing session, Boopey's clash between skirts and blouses, and the romance of BROKEBAKA MOUNTAIN. 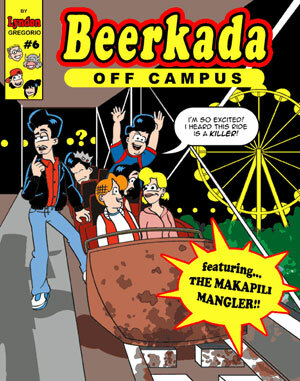 It also features the first Beerkada gameboard! It’s the homestretch for the gang’s college stint (except for one, that is). Includes The Moronity Report, Sines, the Pare-ship of Praning, and Glen finally getting a girlfriend! KKBKBKB? Beerkada's spooky 13th collection takes us to a creepypasta-like environ, full of laugher's coughs, cow abductions and other disturbing experiences. Join Glen, Alan, Bryan, Dana, Boopey, Jay, Harry, and Jimmy as they try to survive and thrive in that jungle called College! Features Dana joining the Miss Colegiala, Bryan running for office, and the infamous “You might be Coño” series that was banned from the Philippine Star! 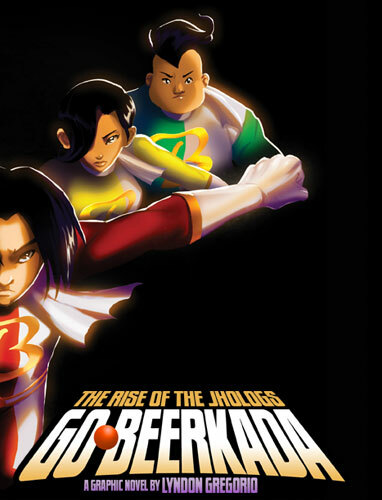 The Beerkada’s back to slug through their sophomore year! Includes classics such as Glen and Pebbles, the Loving-Loving Virus, Rally Blues, and the Bel-Air Witch Project. So far, everybody’s back for a third run at College! This compilation includes Torture-the-Barista, EDSA 2, the Sensation Run, and Freestyle! It’s their fourth year, and the gang’s still going strong! Includes favorites such as Boopey’s Skirt, Lifestyle on a Single-Serve Budget, Sadako, and Alan & Boopey hooking up! Goodbye College, hello World! The Gang tries to cope with unemployment, job fairs, and other hassles of life after college. Well, everybody but Alan, that is. 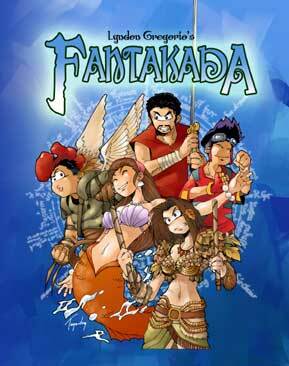 Includes The Makapili Mangler, Kok Fu, and Alan being declared Blind. BFF features Chompy’s earpiercing session, Boopey’s clash between skirts and blouses, and the romance of BROKEBAKA MOUNTAIN. It also features the first Beerkada gameboard! 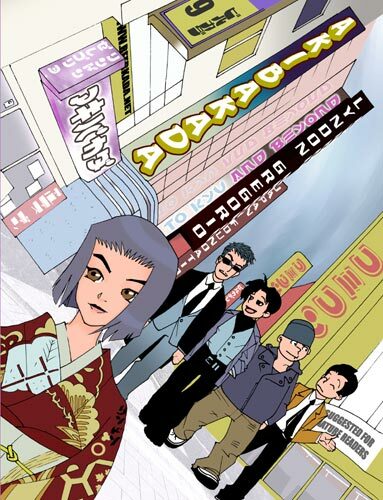 Akibakada details the Beerkada’s trip in Tokyo, Japan during the 11th Asian Cartoon Exhibit. The tankobon-inspired book also includes Jimmy and Fe’s wedding, as well as the suspense-filled Debt Note storyline. 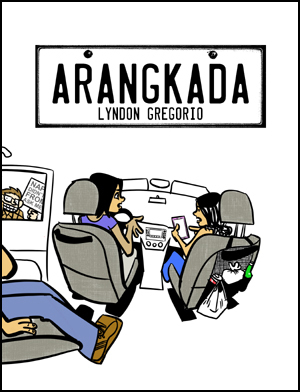 Lyndon Gregorio’s first graphic novel! It’s ten years of Beerkada and they go Asian! From the hills of Hong Kong Disneyland to the quays of Singapore, join the best friends-since-college as they tackle employment, higher education, maternity and other quarter-life concerns. This book not only contains 8 pages of never-before seen material, but also a creator’s commentary on a lot of strips. 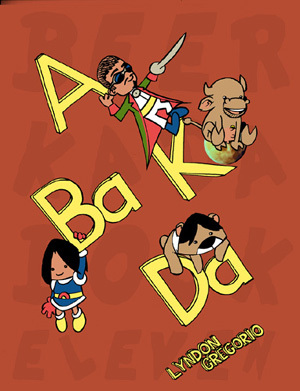 ABaKaDaThis is not your father’s children’s book! The Gocos welcome a new baby, Glen and Andrea upgrade their relationship, pluys aswang, time travel and a whole lot more! 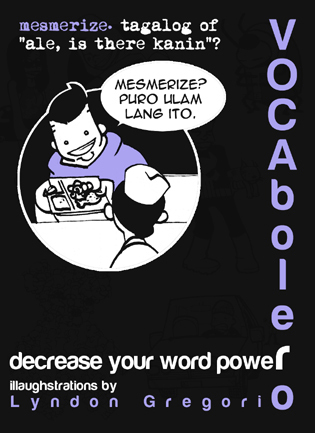 VOCAboleroIt pays nothing to decrease your word power! VOCAbolero is filled with defunnytions and translations to offend any lover of the English language. 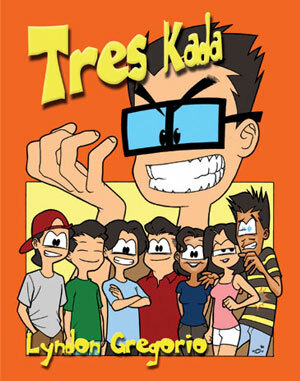 Plus, there’s a foreword by best friend Jiggy Cruz! MusikadaTwelfth time’s the charm and the friends- since-college are ready to face the music. Glen and Chompy are all sweet tunes after their engagement, but she’s quick to up the tempo by applying to business school. Bryan sings the blues when he finds out he has a lifestyle-altering disease. Finally, Boopey is all set to rock the bar exams, but is she ready to roll with the devastation of Ondoy? NOW THAT’S WHAT I CALL BEERKADA! Pag bumili po ako ng boxed set, pde may autograph? At since bertdey ko po, pde po pa sponsor na lang din. =) Pramis magiging loyal ako sayo kahit na mag declare ka pa ng martial law.